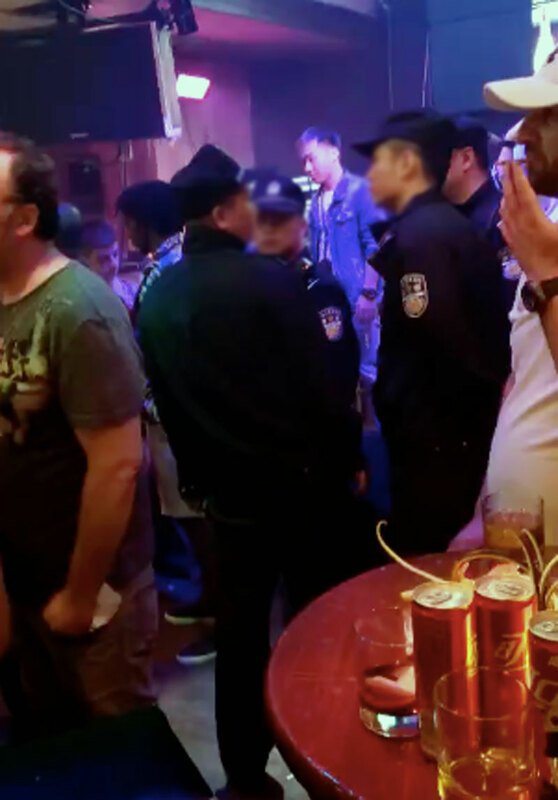 Police in Zhujiang New Town descended on popular Liede bar Hooley’s Irish Pub in the wee hours of Tuesday morning, part of what appears to be an increase in F&B raids targeting drug users, numerous sources have told That’s. Authorities arrived at the popular establishment sometime between 2-2.45am, according to people inside the bar at the time of the raid, who asked to remain anonymous. (We must note that the exact time the raid started has been difficult to ascertain, and witnesses have offered various times, hence the 45-minute timeframe provided in the previous sentence). After police arrived, patrons of the bar were unable to leave and “kept inside for two hours,” according to one witness, before being shuttled in groups to local police stations to undergo urine tests – and in some cases hair follicle tests – to identify drug users. According to the owner of another local bar, the operation carried on well into the daylight hours of Tuesday morning and involved upwards of 10 police vehicles. Video footage circulating on social media shows patrons, who were attending Hooley’s weekly ‘Samba Night,’ mulling around on the second floor as police walk through the crowd. At present, it is unclear exactly how many people were busted for drugs, although we can report that at least six people remain in jail after testing positive. 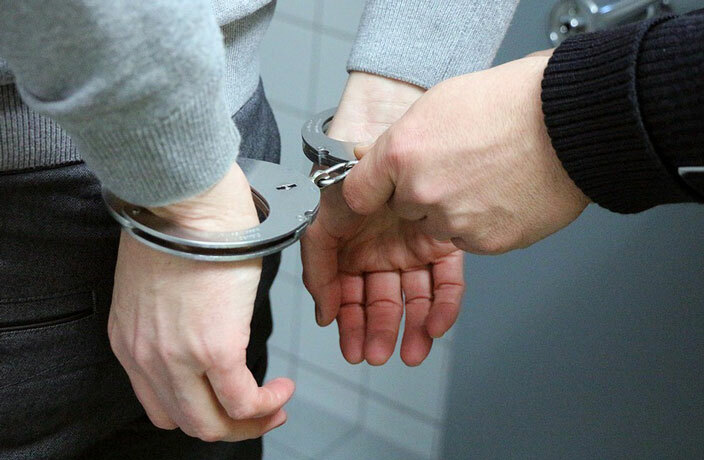 A foreign student from a Guangzhou university, who we’ve chosen to keep anonymous, told That’s that his friend, another student, tested positive for drugs during the raid and that he is being held in administrative detention for 15 days. According to the student, who called our office Wednesday afternoon, his friend will be deported to his home country upon release. That’s reached out to both of the Guangzhou Public Security Bureau’s branches in Tianhe and Liede, but neither office was keen to share details on the raid. A staffer at the Tianhe branch told us on the phone that she was unaware of the Tuesday morning police operation. As of press time, there has been no announcement from the city’s public security bureau on Monday night’s events. The bar owner, who asked to remain unnamed, is not wrong: police checks on entertainment venues are nothing new and have seen an uptick in major Chinese cities over the past year. In Guangzhou, a number of venues at Party Pier have been targeted for passport and narcotics checks over the past couple of months, as well as restaurants in Zhujiang New Town. In October 2017, authorities also targeted Party Pier in a crackdown on late-night establishments, forcing all venues to cease operations by 2am. (According to China’s Regulations on the Management of Entertainment Place, Rule No. 28: “Everyday from 2-8am, entertainment venues are not allowed to operate.” Be aware that if you find yourself at an entertainment venue past 2am, you are likely putting yourself at risk of increased scrutiny if authorities arrive). As for Hooley’s, the bar and restaurant is closed until Thursday. According to a post in the Hooley’s customer WeChat group, the closure is due to a staff Christmas party. Coincidentally (or perhaps not), an anti-drug gathering was held at Huadu Park in Guangzhou on Tuesday morning, with over 1,000 volunteers representing Guangdong’s ‘Drug Prohibition Movement.’ According to the Guangzhou Municipal Public Security Bureau, the whole province aims to recruit over one million anti-drug volunteers by the end of 2019, which will help promote drug prevention education and drug rehabilitation as well as spread information about the dangers of drugs. If you have further information on the recent raid you’d like to share with us, or were there and can clarify any of the information provided above, send us an email at matthewbossons@urbanatomy.com. UPDATE (December 5, 2018 at 3.07pm CST): This article has been updated to include information provided to our editorial team this afternoon by a foreign university student in Guangzhou. Additional reporting by Ryan Gandolfo and Tristin Zhang. Customers asked for passports but not piss.